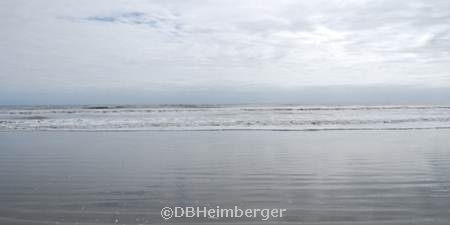 Kiawah Island is a gated resort community with 10 miles of beach, as well as breathtaking marsh and river vistas. 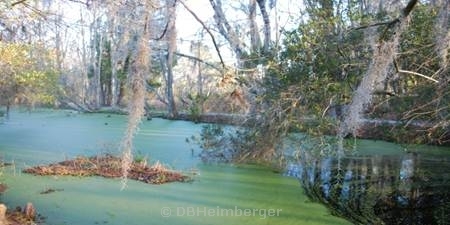 Wildlife is plentiful on Kiawah - there are thousands of birds, deer, raccoons, bobcats, and alligators. There's so much to do on and around Kiawah Island! The island resort is well known for its five golf courses , including the world famous Ocean Course which was the site of the 1991 Ryder Cup, the 2007 Senior PGA and the 2012 PGA Championship. 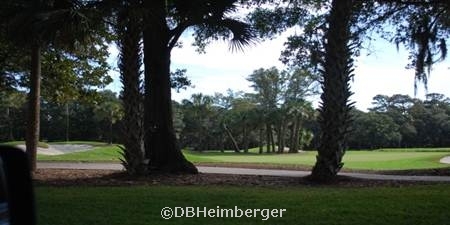 Other golf courses include Cougar Point, Osprey POint, Turtle Point and Oak Point. 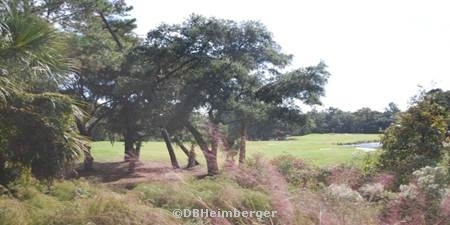 Kiawah Island Golf Resort also has two tennis centers which have come in 1st place on tennisresortsonline.com as the No. 1 tennis resort, and has been called the No. 4 tennis resort in the U.S. by Tennis Magazine. Kiawah also boasts a 21 acre park and playground called Night Heron Park, offering basketball courts, a soccer field, and a swimming pool. 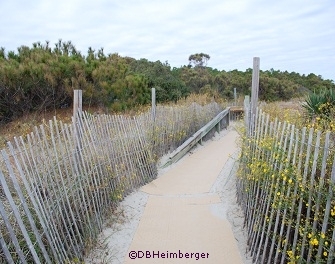 You can hike or bike on over 30 miles of paved biking trails on Kiawah. 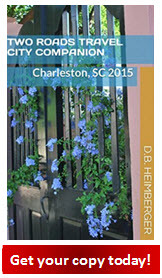 The island is only a 40 minute drive from Charleston which has an abundance of attractions to see and do in the city. So, come and explore Kiawah's miles of beach, museums, cultural heritage & history, nearby plantations and gardens, ruined remains of wartime forts, an abundance of golf courses, loads of fishing locations, tennis activites, water tours, horse-drawn carriage tours, walking tours.... just to name a few! The bottom line is..... you never run out of things to see and do and learn about on Kiawah Island! Aiken-Rhett House - a home built in Charleston in 1820. 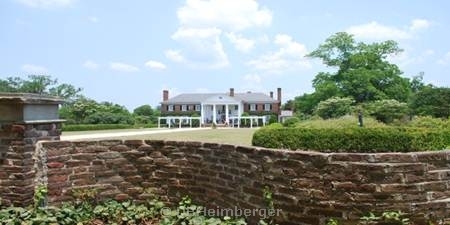 It was originally built for John Robinson, a Charleston merchant. The home was later purchased by William Aiken, Sr.., the railroad company owner, & later became the home of William Aiken, Jr., a governor of South Carolina upon his father's death. The Aiken-Rhett House is ran as an historic house museum. Edmondston-Alston House - an historic house museum along the Battery of the Charleston Harbor built in 1825. On April 12, 1861, General P. T. Beauregard watched the bombing of Fort Sumter which signaled the beginning of the Civil War. Heyward-Washington House - this house was built by rice planter Daniel Heyward for his son Thomas Heyward in 1772. It was rented to George Washington in May 1791 during the president's week long stay in Charleston.... hence the adoption of the name 'Heyward-Washington' house. Thomas Heyward was a signer of the Declaration of Independence. The Heyward-Washington House was purchased by Charleston in 1929 & opened the next year as Charleston's first historic house museum. The surrounding neighborhood was the setting for Dubose Heyward's Porgy. Nathaniel Russell House - on the National Historic Landmark list, this house is one of America's most important neo-classicle houses. 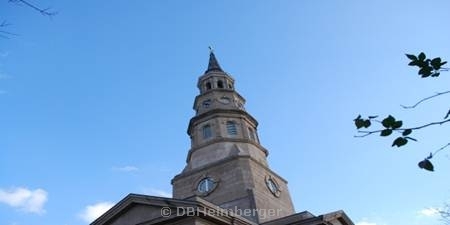 It was built by Natianiel Russell, a Charleston merchant. Located near the High Battery in downtown Charleston's historic district, the house museum is furnished with period furniture & artwork to suggest the elite lifestyle of the city merchant. Rainbow Row - one of the most photographed parts of Charleston. Rainbow Row is a series of colorful historic houses located on East Bay Street, north of Tradd St. & south of Elliot St. 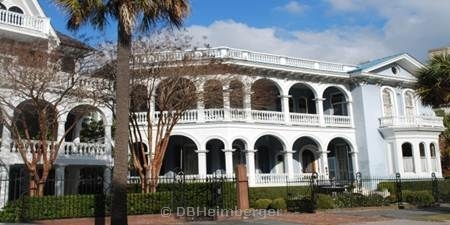 Originally built to serve the wharfs & docks of Charleston's port, these homes are now private residences. The area is named Rainbow Row due to the Colonial Caribbean color scheme. Dock Street Theatre - built in 1736 on the corner of Church St. & Queen St. (originally Dock St.), this was the first building built in America for the express purpose of theatrical performances. The theater produces over 120 plays each year & performs to more than 40,000 people annually. Corner of Church St. & Queen St.
Morris Island Lighthouse - located about 300 yards offshore from the northeast end of Folly Beach. The Morris Island Lighthouse, the second lighthouse built on Morris Island, was completed in 1876. It once sat on a considerable island, but due to severe erosion caused by changing tidal currents from the jetties built in the Charleston Harbor in 1889, the island is now completed covered by water. 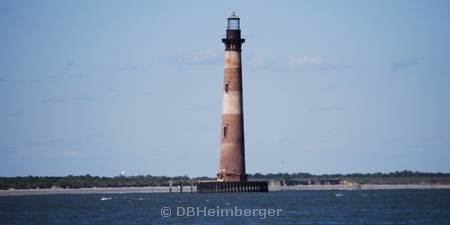 The lighthouse can be viewed by taking East Ashley Street on Folly Beach until it ends. You can park along the side of the road & walk about 1/4 mile to the beach. Old City Market - a historic market center located in downtown Charleston which stretches for four city blocks at 188 Meeting St. It was established in the 1790s as a location for area farms & plantations to sell their produce & beef, & also a place where the locals met to socialize. Today the City Market sells all manner of souvenirs & other items from Gullah sweetgrass baskets to jewelry. The building atop the sheds on Meeting Street houses the Confederate Museum, operated by the Charleston Chapter of the Daughters of the Confederacy & contains a collection of Civil War relics. Old Exchange & Provost Dungeon - a National Historic Landmark, the Exchange & Provost Dungeon is one of three most significant colonial buildings in the US. It served as a prison in the American Revolution, the building functioned as City Hall beginning in 1873, & has also served as a customhouse, mercantile exchange, slavery sales on the north side of the building, military barracks, & a brothel. The State Legislature met in this building in 1790 to ratify the new State Constitution. Although badly damaged by both the Civil War & the 1886 earthquake, the building was repaired after each occurrence. Old Slave Mart Museum - focuses on the history of slave trading & slave sales that occurred in slave auction gallery from 1856 to 1863. It was ran as a private museum from 1938 to 1987 & was also placed on the National Register of Historic Places in 1973. Understanding the historic significance that the institution of slavery has had on the history of Charleston, the property was acquired in 1988 by the City of Charleston & has continued to be operated as a museum to recount the slave-trade history of this city. Boone Hall Plantation - a colonial revival style plantation home on one of the oldest working plantations in Mount Pleasant, SC. Boone Hall has been growing produce for over 320 years. The plantation contains a nearly one-mile driveway lined by live oak trees, 9 original slave cabins, gardens, & tours of the mansion decorated in period antiques. Drayton Hall - a plantation house on the Ashley River, was constructed in 1738. Drayton Hall is one of the only surviving pre-Revolutionary houses remaining in a state that is vitually unrestored & in its original condition. Drayton Hall displays historical artifacts of the colonial period, the American Revolution, the antebellum years, the Civil War, & Reconstruction. Magnolia Plantation & Gardens - Magnolia Plantation was founded in 1676 by the Drayton Family & contains rich history from the American Revolution through the Civil War. It proudly boasts the fact that it is the oldest public tourist location in the Lowcountry (opened in 1870) & it is also the oldest public gardens in America. It has received several preservation awards. Middleton Place - the main family house on this plantation was constructed in 1705 & has remained in the same family for over 320 years. Many of the family members were important in America's history, such as a signer of the Declaration of Independence, a South Carolina Governor, the second president of the First Continental Congress, & a signer of the Ordinance of Secession. Middleton Place includes America's oldest landscaped gardens & the Garden Club of America has described it as "the most important and most interesting garden in America." 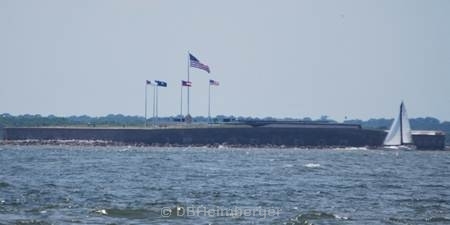 Fort Sumter National Monument - Fort Sumter is an island fort where the Civil War began. After decades of conflict between the North & the South, Confederate armaments opened fire on this Federal fort on April 12, 1861. Thirty-four hours later, the Union forces surrendered & would spend the next four years trying to retake it. There are departures on ferry & private boats year-round to visit Fort Sumter except for New Years, Thanksgiving & Christmas days. Friends of the Hunley - one of the most unique artifacts of the Civil War. On February 17, 1864, the Hunley left on its mission to be the first successful submarine attack in history. The H.L. Hunley struck the USS Housatonic (a Union Navy ship just outside of Charleston's harbor about 4 miles off of Sullivan's Island) below the waterline, thrusting her long metal spar into the stern area of the Housatonic. The Housatonic exploded & consequently sank. The Hunley disappeared for 137 years & was recovered on August 8, 2000. 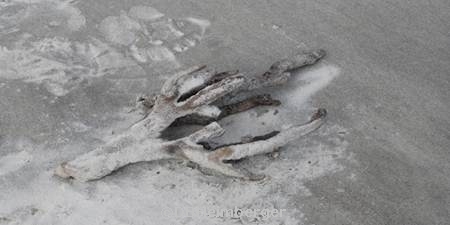 She was found buried in the Atlantic Ocean, just outside of Charleston Harbor. The Hunley, in her entirety, can be viewed at the Warren Lasch Conservation Center in North Charleston. 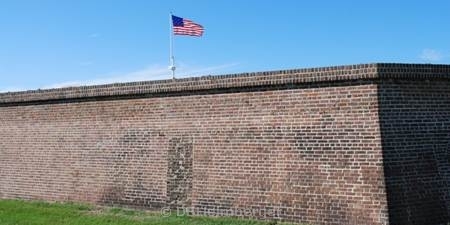 Fort Moultrie - the first fort was built of palmetto logs, inspiring the flag & nickname of "The Palmetto State" for South Carolina. 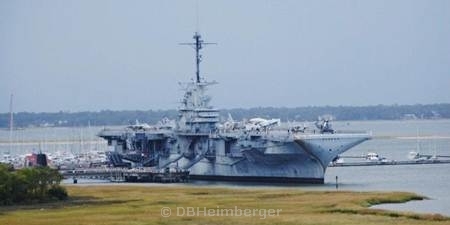 Patriots Point Naval & Maritime Museum / USS Yorktown - Patriots Point is located in Mt. Pleasant, along the Charleston Harbor waterfront, & is the home of the USS Yorktown CV-10 Aircraft Carrier. The USS Yorktown was commissioned in 1943 & heavily participated in the Pacific Offensive beginning in late 1943, ending with the victory over Japan in 1945. She earned 11 battle stars in all for her service in World War II! The Yorktown was decommissioned in 1970 & later placed at Patriots Point as the showpiece of Patriots Point Naval & Maritime Museum. Powder Magazine - the Powder Magazine was the military storage building for loose gun powder built in 1713 & was part of the original English walled city of Charles Town. The walls were built 3 feet thick to prevent fire to surrounding areas in case of any type of explosion in the powder magazine. Charles Town was fortified during this period of its history by 4 military outposts in each corner of the walled city with 84 cannons along the waterfront (The Battery) to protect the city from the Spanish, the French, pirates and the Indians. 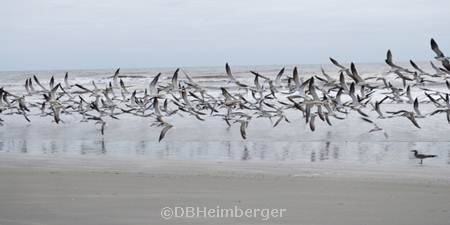 Things to Do & See in Kiawah cont.